Musical sparks fly when Gloria Estefan hums some of JS Bach’s Greatest Hits! 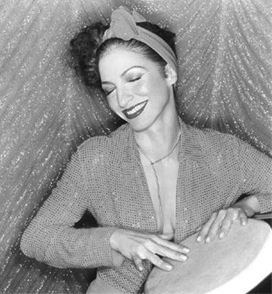 The air was electric in the YD Industries recording studio as the celebrated Gloria Estefan strapped on earphones and stepped to the microphone. This was to be the culmination of five years of passionate effort on the part of Ms. Estefan and YD Industries music producer Rock Hutchenson. Their dream was to bring Estefan’s dynamic, Latin infused humming renditions of JS Bach hits to a recorded medium, and their “little miracle” was about to come to life. Ms. Estefan spent three glorious days in the YD Industries recording booth humming her brand of Bach into expensive Heilthrope CK-42 microphones. The sessions were first recorded on to analog tape before a digital sonic bypass was applied as part of the re-post-mastering process that took place at the famed Drewary Lane Master House in London, England. She was joined on three tracks by the Orchestra of Juniper Serra under the direction of maestro Ridley Farnsworth. Also joining Ms. Estefan on several tracks was Ricardo Lomba, renowned Latin percussionist and volleyball player. The sounds captured here on this groundbreaking YD Industries recording are breathtakingly innovative and deliriously moving. The Collection is available on CD, cassette, the download cloud, and 33rpm vinyl cylinder. Order now!